For successful development of the intelligent manufacturing of freeform surfaces using STEP-CNC with online toolpath generation capability, it is required to make a choice of the optimal representation of a 3D model which will be used for machining. Traditionally, most existing CAD-CAM systems use NURBS to design freeform surfaces and to perform toolpath generation in order to machine them. The introduction of T-splines to CAD systems and some reported results of using them in manufacturing makes it possible to consider T-splines, or more generally T-NURCCs (Non-Uniform Rational Catmull-Clark Surfaces with T-junctions), as a good solution for the development of the STEP-NC-based manufacturing of freeform surfaces because of their advantages over NURBS. Therefore, this paper gives an overview of the main arguments in favor of choosing the T-spline surface representation for integration within STEP-CNC systems. We examine the prospects for T-splines to become an integral part of modern manufacturing systems, and highlight some important properties of T-splines which are the most beneficial for manufacturing processes. 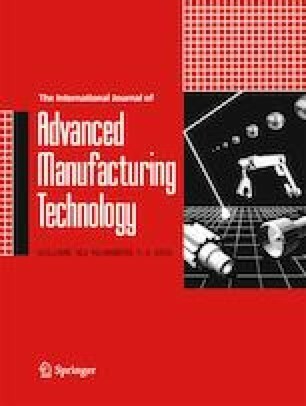 The paper presents the results of the development of a complete T-spline-enabled STEP-CNC system which can strategically support online toolpath generation for three-axis ball end machining of simple T-spline surfaces using four different freeform strategies defined in ISO 14649-11. These results represent the implementation of the first stage of the development process of intelligent STEP-CNC systems, and in the future more research is needed in this direction. The authors appreciate BECKHOFF China for their kind support of the open-architecture TwinCAT-CNC platform. Special Program of Ministry of Industry and Information Technology, China.